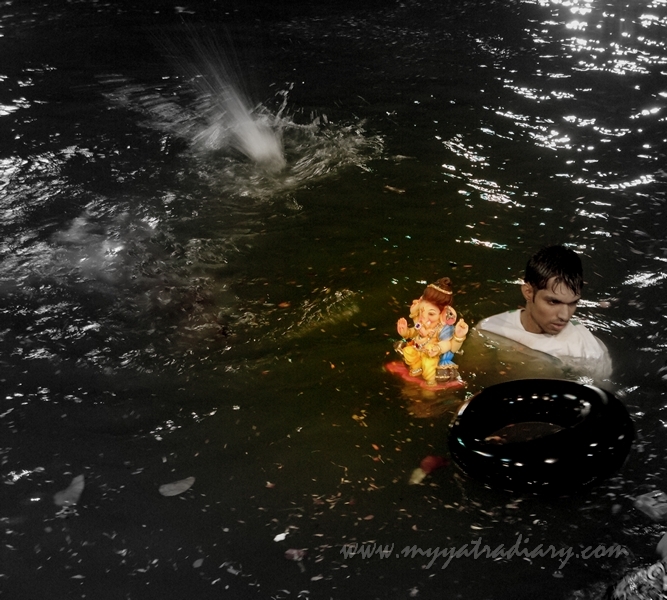 Ganesh Visarjan Special: Ganpati Bappa Morya, Pudchya Varshi Lavkarya! yet your heart knew it's already been said. After being worshipped and adored for the past 10 days, the D day is finally here. Seems just like yesterday when our cute and benevolent God had descended from the heavens to enrich our life with happiness, smiles and joy, isn't it? 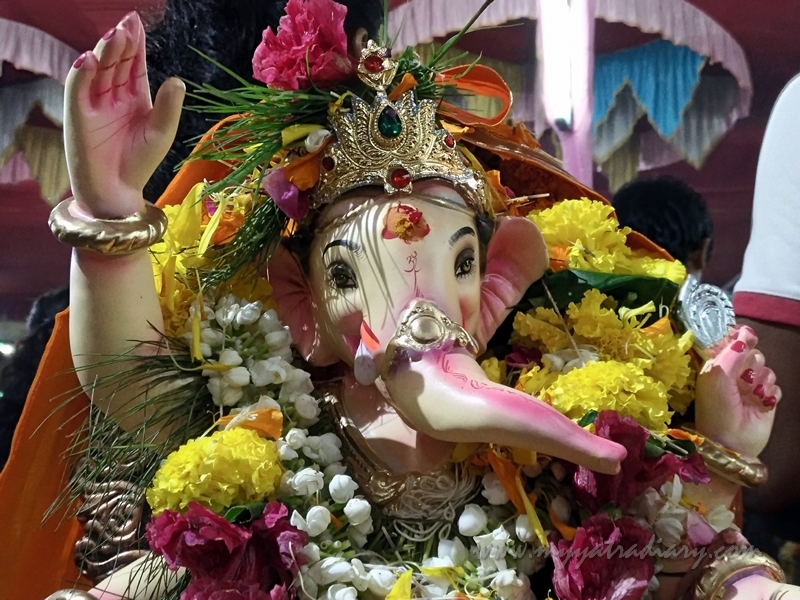 But it's been 10 days since His arrival; and today is the final day of the Ganesh Chaturthi festival when He will make His way towards the sea for immersion. 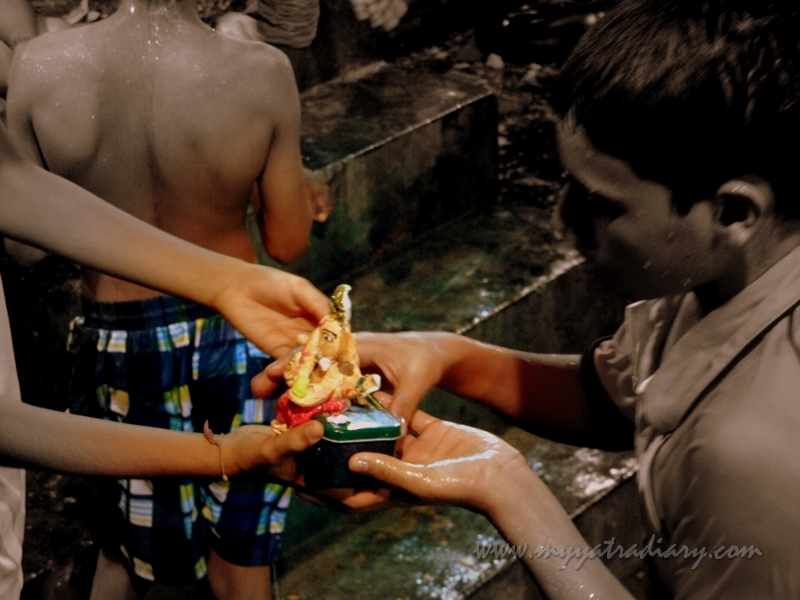 It’s time to bid our beloved Bappa goodbye. He being the elegant atithi of all, knows that it's time to leave. Even if it is against our wishes. That's how he likes it to be. Eyes are wet with tears, so are the hearts. The rain Gods seem to be weeping too. 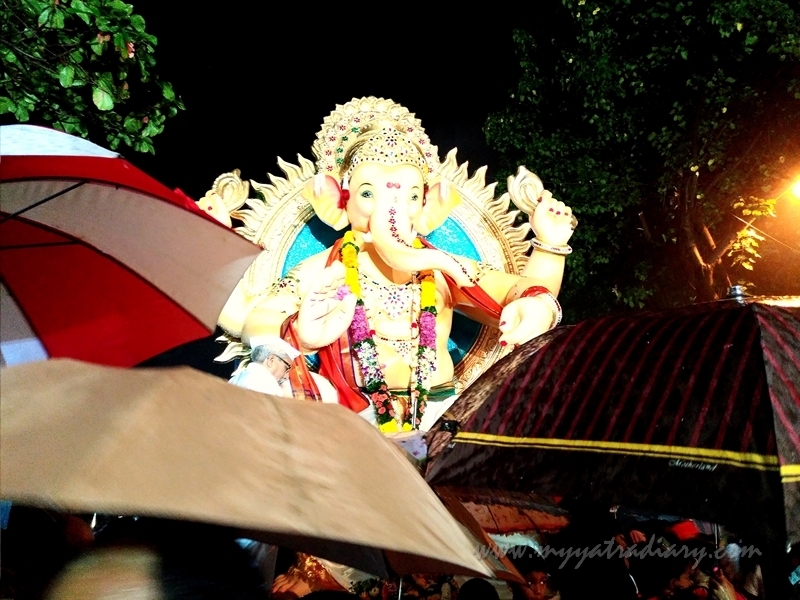 But Bappa radiates positivity and good cheer even today. A thousand suns glitter in his lovely smile even as the sky is dark with rain and hearts are gloomy with cries - that's how magnanimous His persona is. He is God after all, this parting must not be so tough for Him? 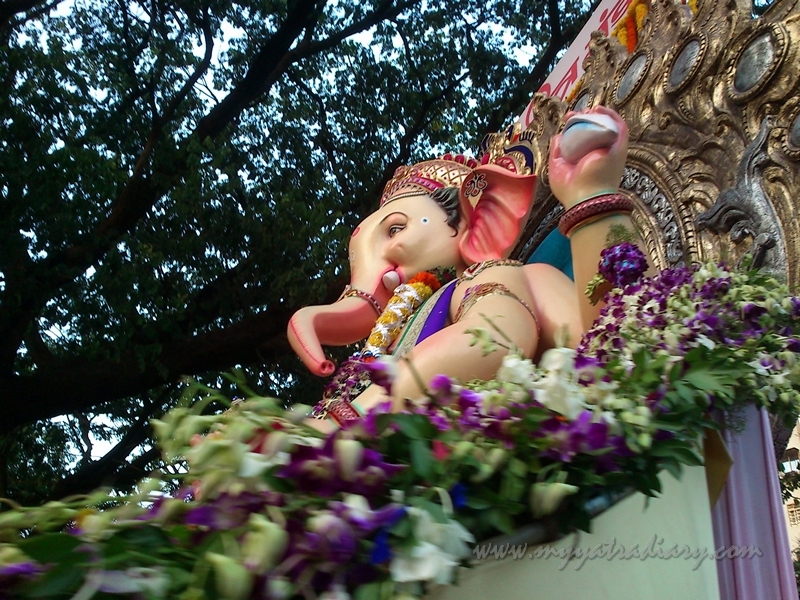 Bappa always likes to smile! All His children whisper in His ears and He whispers back: Keep doing what you must do. Joy shall fill your hearts, no evil shall enter your mind. I must go now, but remember my blessings are always with you. Whisper and He whispers back. In moments like these is reflected life... both the ugliness and prettiness of it. What comes has to go. 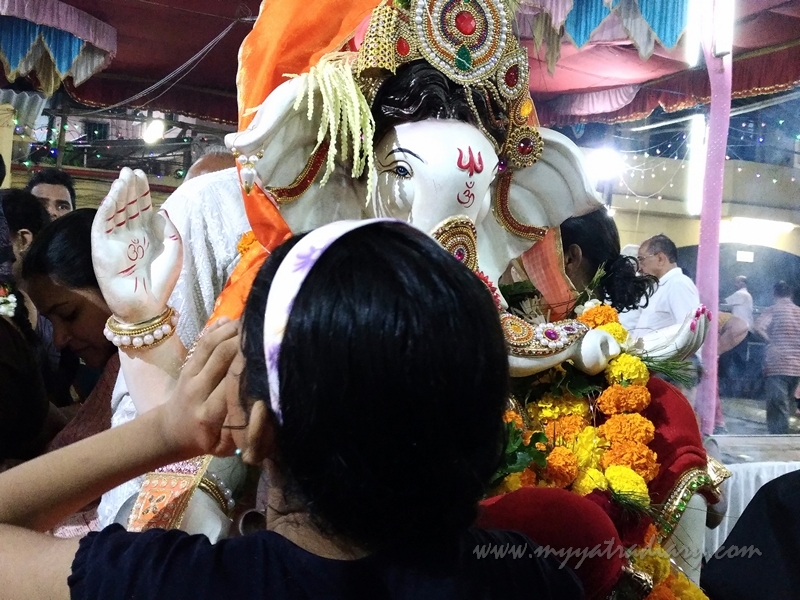 Amid chants of Ganpati Bappa Morya and Ganpati Gele Gavala, Chain Pade na Aamhala (All glories to Lord Ganesha) our precious guest is taken to the lake for visarjan. He loves His mother - Mother nature. He comes in the form of clay and goes back into the lap of His Ma, Mother Earth. From there, He shall return to us in another form, as mud again. Mud... once moistened with our worship and prayers will bloom forth His blessings as soft and delicate flowers tendered with patience and care. What comes, goes. And then returns again. Lord Ganesha forever lives in our heart. May He bless all of us with wisdom and peace. Like the dedication with which you shoot pictures. One of the colorful festivals in India. Great captures. Always love the different kind of Ganesh's statues !! 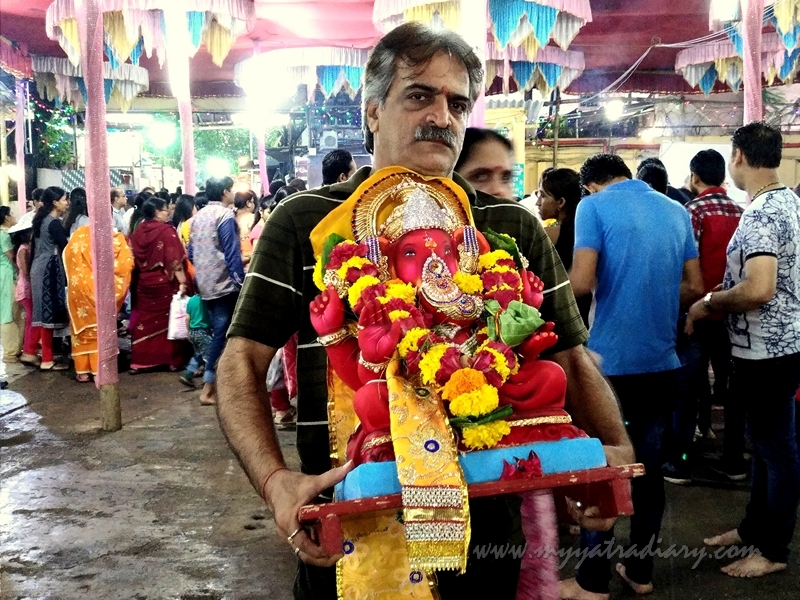 I so miss Mumbai during the Anath Chaturthi, hope you enjoyed and beautiful pictures. 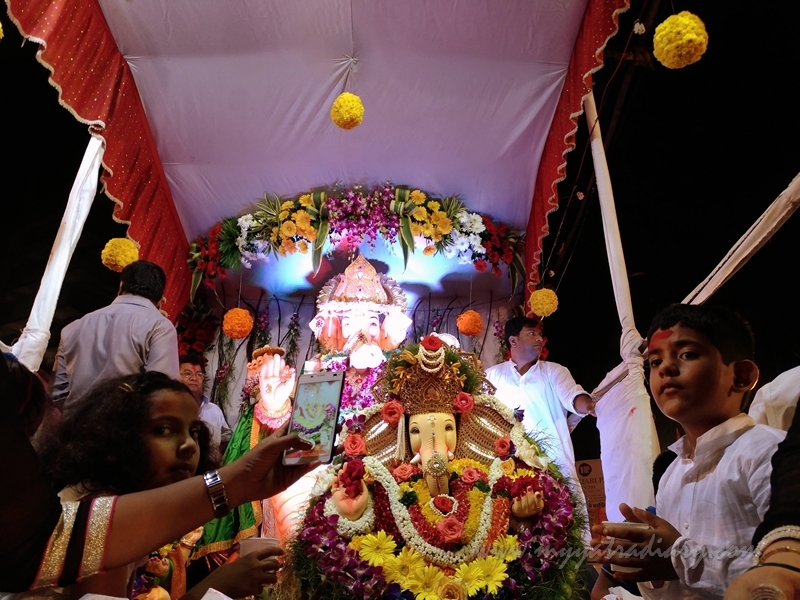 A beautiful ode to our beloved Bappa! Indeed the ten days that he is visiting us is a blessing we cannot get enough of. Pudchya varshi laukar ya!